The Motorola Xoom is the first official Android tablet to run Honeycomb, aka Android 3.0. Honeycomb is a tablet-specific version of Android that seeks to take advantage of the larger screens that tablets have to offer. 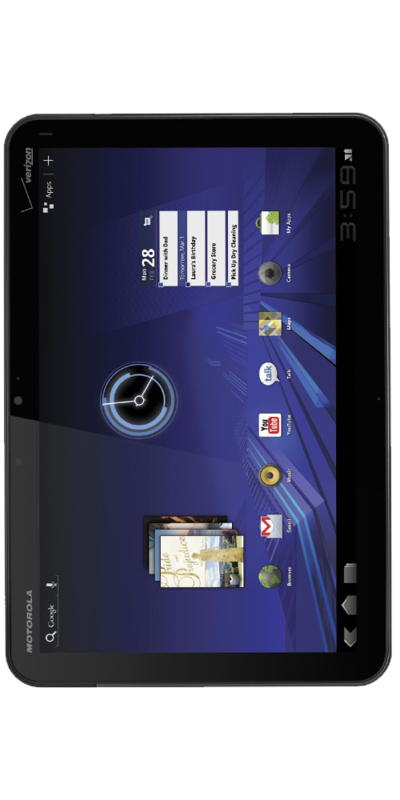 The Xoom boasts a 10.1-inch screen and is powered by a 1GHz dual-core processor. It was initially launched on Verizon, running on its 3G network at the outset but will be compatible with its burgeoning 4G LTE network. Since its launch, a WiFi-only version has been released as well as its availability on other carriers.